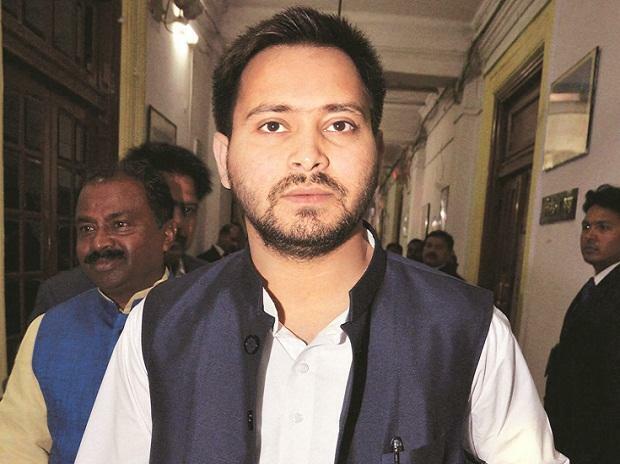 Hours after the NDA announced seat sharing among its constituents in Bihar, RJD leader Tejashwi Yadav, joined by leaders of the opposition coalition, asserted that the BJP-led grouping would draw a blank in the state in 2019 General Elections. Yadav was joined by RLSP leader Upendra Kushwaha, HAM leader Santosh Manjhi and Congress' Narendra Kumar to launch a blistering attack on the NDA. They came together to induct a new entrant into the opposition coalition, Mukesh Sahni's Vikashsheel Insaan Party (VIP). They lambasted the NDA, and Bihar Chief Minister Nitish Kumar in particular calling him an "opportunist", but remained guarded on the issue of seat sharing in the Grand Alliance. During the day, the NDA finalised seat sharing according to which the BJP and the JD(U) will fight 17 seats each and the LJP the rest six in politically crucial Bihar. The announcement was made by BJP president Amit Shah in New Delhi in the presence of JD(U) president Nitish Kumar and Lok Janshakti Party chief and Union Minister Ram Vilas Paswan. "One more party, Mukesh Sahni's VIP, is joining the Grand Alliance in Bihar. This shows that the Grand Alliance's strength is increasing. The BJP-led NDA will not be able to open its account in the Lok Sabha polls (here)," RJD leader Tejashwi Prasad Yadav said. Asked when the Grand Alliance would announce its seat sharing, Yadav said, "We will sit together and decide the issue very easily as to which party would contest how many seats." When pressed further, he said "I will not utter anything (more) on the issue." Yadav described the Bihar CM as "the most opportunist person," who has joined hands with the NDA even though the former had insulted him with the "DNA remark." Earlier in the day, Yadav tweeted that despite having achieved power through the back door in Bihar and having 22 sitting MPs, the party agreed to give an equal number of seats to Kumar, who had returned with a tally of only two seats. Kushwaha reiterated that the NDA will not be able to open its account in Bihar in 2019 Lok Sabha polls. He said, "Those joining the Grand Alliance know the pulse of the people and both central and state governments. "What Ram Vilas Paswan has done tells the story as to what will happen in 2019. Paswan knows they (NDA) will not be able to win a single seat, so he has secured a Rajya Sabha seat for himself. I congratulate him in advance," Kushwaha said. Sahni, a former Bollywood set designer who launched his political outfit VIP in November, is said to have influence among his caste men -- Mallah.